The various Classicist architectural styles that are used in our projects – Palladian, Georgian, Federal, etc. – all have in common a certain degree of simplification with respect to their ancient models. This simplification was often a result of the pioneering, ‘border’ nature of the buildings where these styles were used: from the monumental farmhouses in Veneto to the American plantation houses of colonial times. This process is a kind of a natural selection - a survival of the fittest - of shapes and materials is almost like classical language in its purest form. The result is a freshness and modernity which balances elegance and functionality with striking ease. 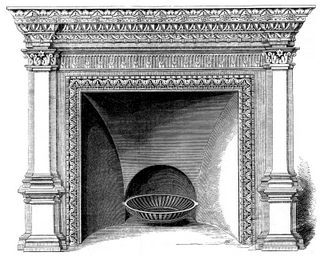 Fireplaces, which traditionaly are objects which inspire architectural experimentation while still reflecting the taste of their era, are a perfect example of this process.